6D Helmets, a suspended solution! Helmet safety is an all-important technology in the motorcycle world, but one that has been based off of the same design for quite some time. 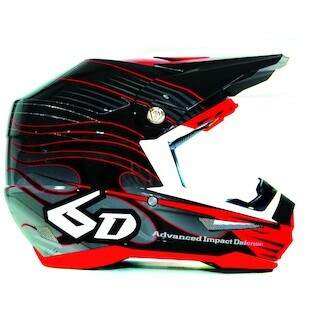 6D Helmets seeks to break this mold, by introducing a new type of energy dispersion. In essence, they have created a six-dimensional suspension ... for your head! While a traditional EPS liner is still used on the inner layer of the helmet, the outer shell separated from the EPS by a omni-directional suspension (ODS) system. The concept is to absorb shocks and angular acceleration independently from the rider's neck and skull. This floating outer layer can be twisted and turned to a significant extent while having little influence on the angle of the wearer's head or neck. 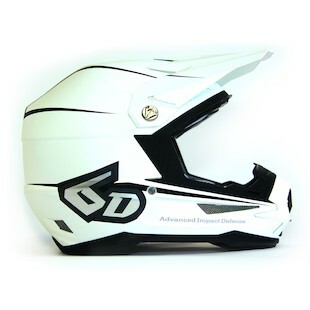 The 6D ATR-1 F8 Crusader Helmet will be available in Black/White, Black/Red, and Orange/Silver. 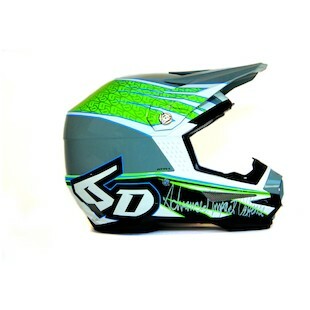 The 6D ATR-1 A-6 Intruder Helmet showcases Orange/Black, Red/White, and Green/White colorways. The 6D ATR-1 F35 Stealth Helmet is only slightly subdued and comes in three Matte options White/Black, Charcoal/Orange, and Black/White. Did you notice that these are all named after fighter jets? While you might not be traveling faster than the speed of sound, it is important that you look the part when you cross the finish line wearing a 6D Helmet.